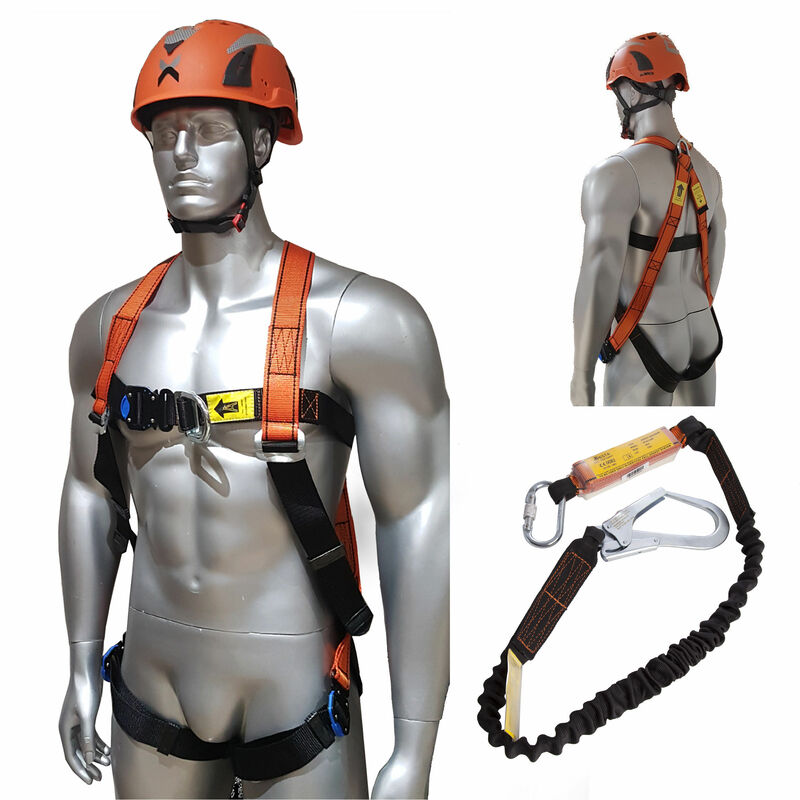 General purpose harness with front and rear D ring attachment points, Quick connect buckles. High comfort webbing. Elasticated webbing lanyard with Carabiner and Scaffold Hook. Includes energy shock absorber. 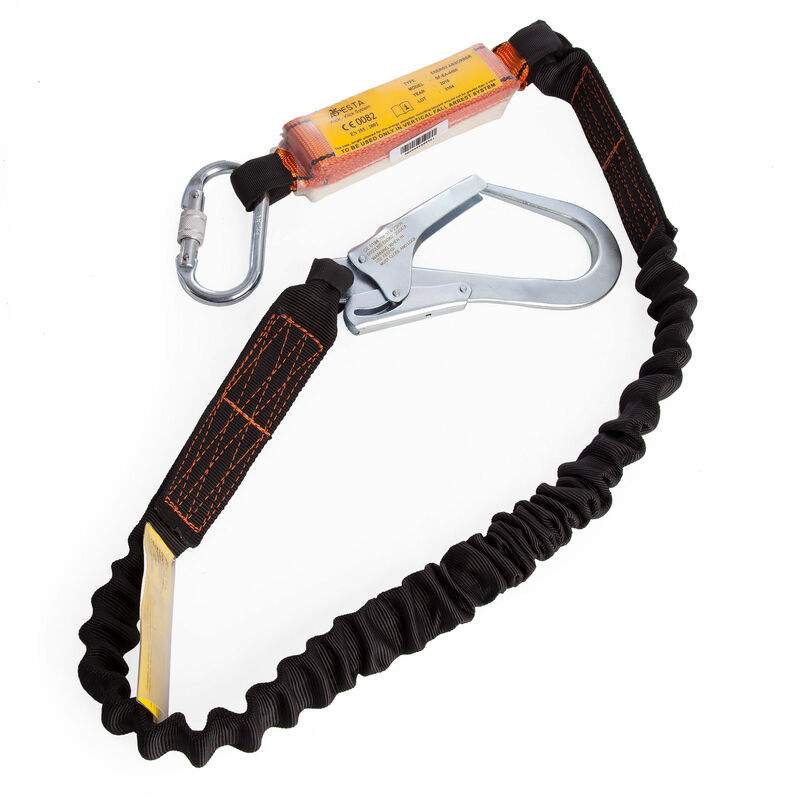 standard simple lanyard for attachment to anchor points, providing safe fall arrest system. 2m maximum length.